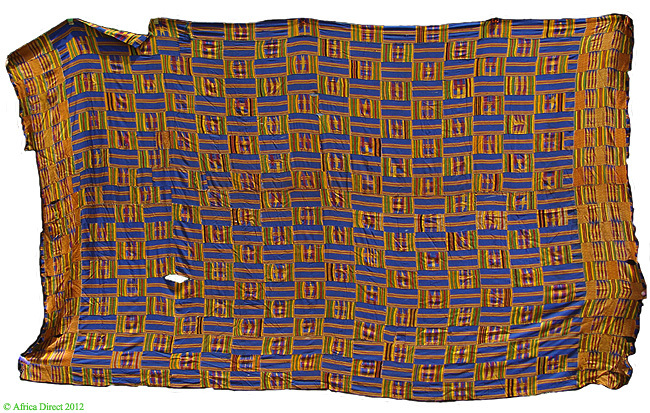 Additional Information: A superb very large ceremonial Kente cloth worn by Asante men. Estimated age more than 40 years. 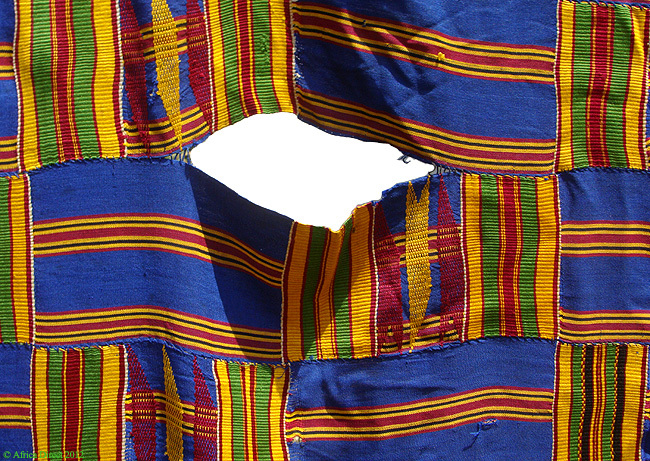 Kente cloth is the royal cloth of the Ashante, of Ghana. In many cases, the thread was obtained by carefully un-picking silk garments, and reweaving them. The looms have two or three heddles. Legend says that the Kente cloth weavers learned their skill from watching a spider, Anansi, who is a significant figure in African folklore. The pattern on this textile is known as Obi Nkye Obi Kwa Mu si which is translated into " sooner or later one could stray into another person's path" which means "nobody is perfect and everybody makes mistakes. If some one happens to get in your way or does something to offend you, it is important to be understanding and to forgive that person". The blue is the color of the sky and symbol of majesty, peace and harmony. In some cases the blue is associated with good fortune. 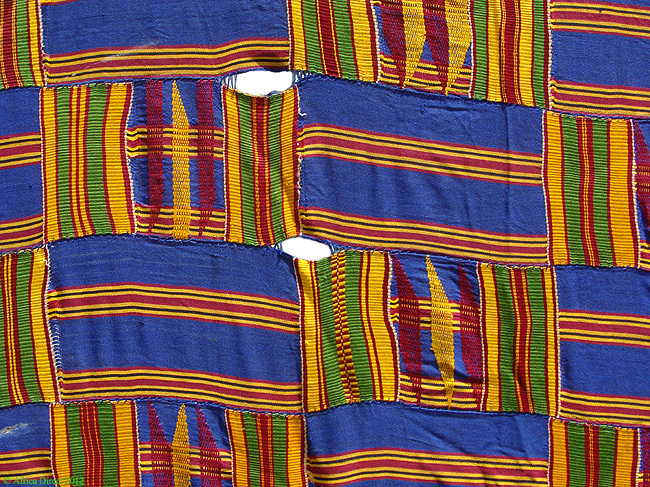 See Clarke's ART OF AFRICAN TEXTILES. 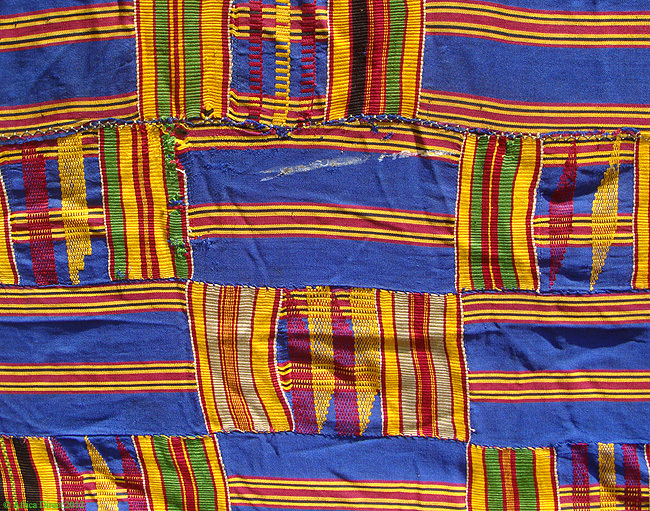 Adler and Barbard's AFRICAN MAJESTY, the TEXTILE ART OF THE ASHANTI AND EWE.